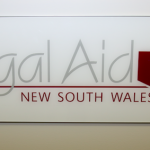 The Legal Profession Admission Board (LPAB) manages the accreditation of solicitors and barristers in NSW. If you are looking for someone to represent you in court, or you need to consult with a lawyer about a legal matter, it is important that the professional you choose is qualified and licensed to practise law in NSW. When you are facing court for a criminal matter, you rely on your accredited criminal defence lawyer to advocate for you effectively and help you get the best possible outcome. It is important that you find the best possible representation for your case, and that your lawyer is someone you can trust and rely on. There are a number of reasons why you should choose a LPAB barrister or solicitor. Barristers and solicitors are not allowed to practise in NSW without a current practising certificate. Lawyers from other states in Australia are allowed to practise in NSW as long as they are appropriately registered in their original state. 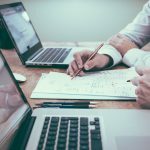 Local lawyers who practise without being appropriately accredited are breaking the law, which could lead to additional complications for your legal matter. The LPAB ensures that all the lawyers who gain practising certificates have had the appropriate educational training and passed the necessary exams so they reach the standard required to practise law in NSW. 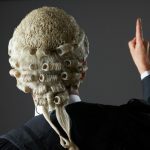 To be effective, lawyers must have a thorough understanding of NSW law and the court process and have completed a certain amount of practical legal training in addition to having academic qualifications through an accredited university. 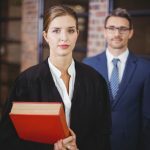 By choosing a NSW accredited lawyer you can be confident that they are qualified, and have a thorough knowledge of the law in NSW, along with a certain level of experience. Senior Criminal Lawyers that are admitted in NSW are well-equipped with the skills and training to advocate for clients at court, and provide legal advice on a range of complex and detailed criminal and traffic matters. In addition to educational requirements, there are a number of rules in place surrounding the ethical behaviour of criminal solicitors and barristers. These ethical standards are intended to protect clients, and ensure that they are not taken advantage of, as well as ensuring the justice system works effectively and in an unbiased manner. LPAB solicitors and barristers are required to prove they are of good character by submitting formal character references before they can be granted admission. Lawyers are also made aware of the ethical guidelines that they must abide by, and there are formal disciplinary procedures in place for those who act in an unethical manner. The right barrister or solicitor can make a significant difference to the outcome of your legal matter. 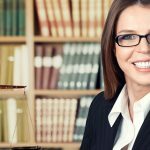 When you are choosing a lawyer make sure you give yourself the best possible chance of a positive outcome by finding someone who is licensed to practise law in NSW. When you choose a LPAB lawyer you know that they are fully trained and experienced and have passed a number of stringent guidelines to be accepted and allowed to practise law in NSW. If you are unsure whether your solicitor or barrister has LPAB accreditation, always make sure you check their qualifications. This can be done by simply going onto the Law Society or Bar Association websites. The Law Society website will also tell you whether your lawyer has a achieved a specialist accreditation, such as a specialist accreditation in criminal law.